Mozilla plans to make Firefox 57 a milestone release by introducing major changes to the web browser when the version is released. We talked about those in the past already; most notable probably is the focus on WebExtensions in Firefox 57. Classic add-ons will stop working at that time, as they are no longer supported in the stable version of the web browser. If things turn out well, Firefox 57 will also be the version of Firefox that ships with a first version of Quantum. Quantum bits will replace their equivalent in the Gecko engine. It is all about parallelism and modern hardware, and it includes components adopted from the Servo project. What it means for users is that Firefox will get a speed boost when compared to the browser’s current engine Gecko. Note: Firefox 57 is the release target for these changes. There is still a chance that things may be delayed along the way, so that they land in a later stable version of Firefox. Along with those major changes comes a design refresh that runs under the codename Photon currently. Veteran Firefox users may remember the last time Mozilla changed the theme for Firefox. The Australis theme for Firefox 29 was controversial for a number of reasons. Some users thought that it looked too much like Google Chrome, others disliked that customization features were removed when the theme launched that were part of Firefox for years. Users who did not like the design installed extensions like Classic Theme Restorer to restore most of the classic Firefox after the Australis launch. The new Firefox design that Mozilla plans to make the default in Firefox 57 has not been revealed officially yet. 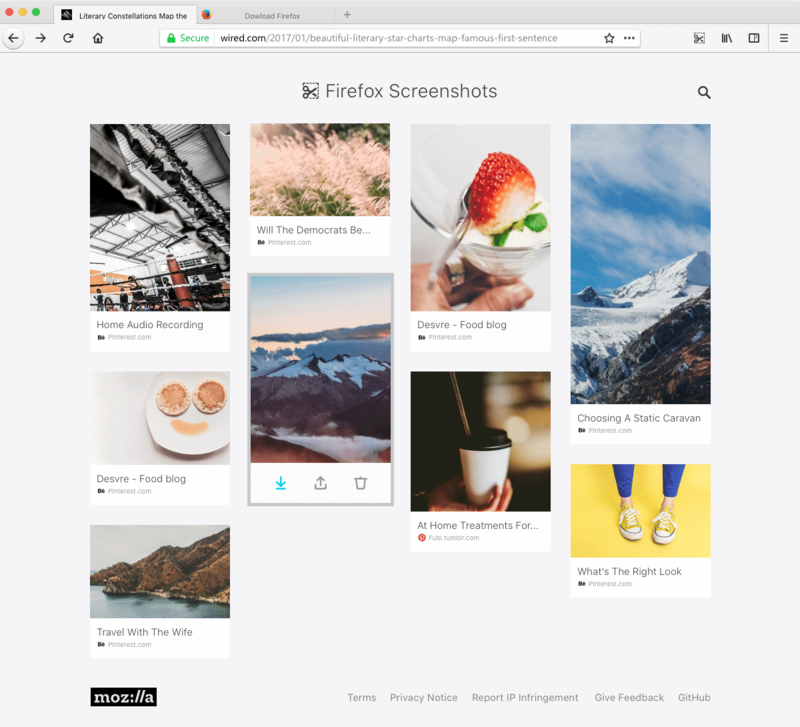 But, it was revealed unofficially in a a Firefox Screenshot mockup that revealed the functionality. Note: Mockup means that things may, and probably will, change before release. What you see is not the final product. If you look at Firefox’s current design, you will notice that the forward button is only displayed when it can be used (meaning when you can go forward in history), and that the reload button is attached to the right of the address field. Here is how Google Chrome’s design looks currently. 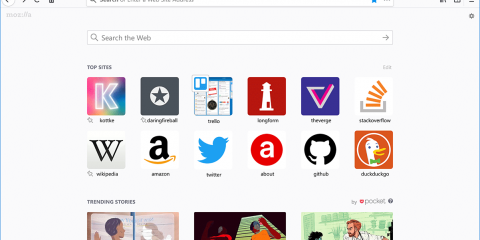 The tab design looks different, and the placement of the address bar as well if Mozilla plans to keep the address bar centered in the interface of the browser. The button placement on the left of the main toolbar is identical, with the exception of the home button that the mockup of the new Firefox 57 design shows as the home button is missing in Chrome. What is the status of the search bar? Will it be visible by default, hidden for new users? What modifications are supported by default? Can icons still be moved around? Classic Theme Restorer is dead. Will there be something similarly available to modify the interface beyond what Mozilla makes available? E.g. tabs on bottom and not top. How capable is the theme API when Firefox 57 is released? The post Here is the first mockup screenshot of Firefox 57’s new design appeared first on gHacks Technology News.